The Lake District, 1967. Hungover and at each other’s throats, John, George and Ringo must convince Billy Shears, a sheepish rural lookalike, to join The Beatles after Paul dies during an experimental-drug-filled musical retreat. Based on a conspiracy theory that has entertained music fans since 1966, Paul is Dead follows the Fab Four, who after a drunken, drug-fueled bender, awaken to find out that they are now just the Fab Three. What results is a mission to preserve the band, by recruiting a Paul doppelgänger to join their ranks and save music forever. So, it’s an “out there” premise. But, the film works because it doesn’t really wink at the camera. 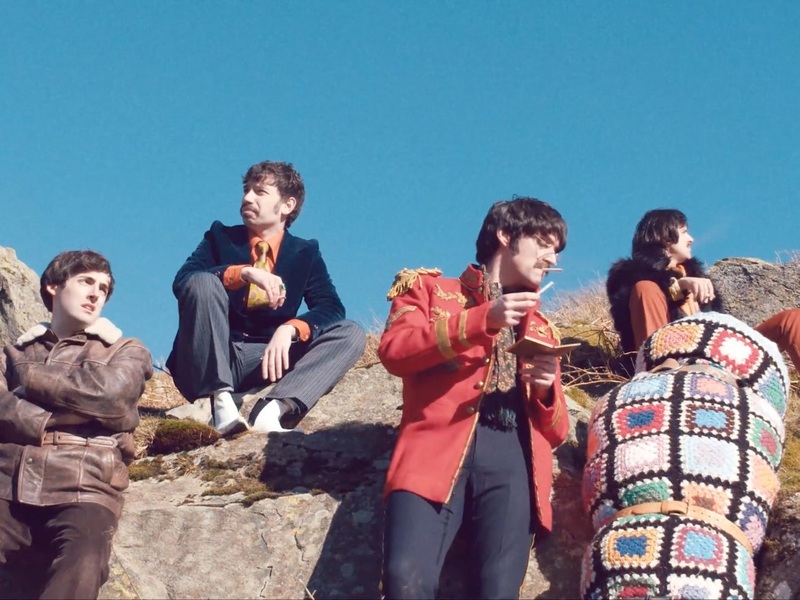 Yes, the Beatles impersonations are broad and stereotypical (however I’ll never get tired of people doing Beatles impressions, no matter how ridiculous), but the film keeps its character stakes very much grounded. The goal isn’t the punchlines, rather it’s the genuine interactions between these people, that, ultimately, provide the laughs. It feels like an authentic people-driven comedy that achieves something reminiscent of the character dynamics found in Wes Anderson movies. The world surrounding our heroes might be ludicrous, but the relationships aren’t. It also doesn’t hurt that the the film is funny…really funny. Comedy is largely dependent on timing and Moore and his talented actors nail it here. Every quip, every insult, feels perfectly executed and timed. For something that is attempting to emulate the “loose” feel of 60’s and 70’s cinema, the film feels remarkably precise in both the economy of the script and the pacing of its jokes. All of this culminates in a climax on a mountain that is as meaningful as it is silly. Couple this with an amazing attention to visual detail—from the costumes, to the sets, to the production design—and you have a film that is far more than just a riff on a pop culture urban legend. Mission accomplished, George! Moore is currently hard at work on a slew of projects in search of investors. Specifically, he’s in development on a TV adaptation of a critically acclaimed comic book series, Hitsville UK.